Software leader Microsoft just recently outed its Q4 results which recorded revenue of $30.09 Billion for the quarter beating Wall Street estimates of $29.2 Billion recording $110 Billion for the fiscal year while showing a whooping 89% growth for its cloud computing and processing unit which has sent its stock to an all time high of $108.20 a share early today with several brokerages and investment firms raising its price target for Microsoft higher for its stellar results. With the growing adoption of Microsoft's Azure cloud unit and its ever-increasing partnerships with various other technology companies and startups around the globe, Microsoft is poised to reap more profits from its cloud computing services which has grown enormously under the leadership of Satya Nadella who was appointed as CEO of the Redmond based software company February 2014 after a 22 year stint at the company. 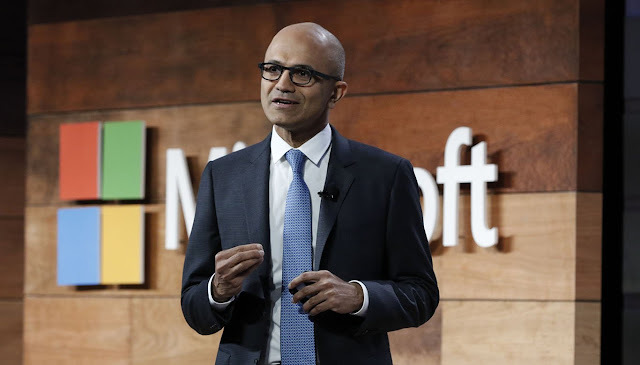 Nadella has been hailed as having done very well by a vast number of analysts and company insiders including co-founders and former CEOs Bill Gates and Steve Ballmer which Microsoft stock having risen over 130% since his takeover 4 years ago. Several Wall Street analysts has placed the target price for the company's stock to a range of between $120-$130 which is over $10 higher than its current price and will heavily boost its market cap if the price ranges work out as stated giving Microsoft a very good advantage in the competing race with Apple and Amazon to be a $1 Trillion company. Microsoft's gaming revenue crossed the $10 Billion mark last year with a lauded increase it the adoption of its Xbox gaming platform which marks a very remarkable part of the company in addition to its software and cloud computing services. $2.29 billion of revenue came from its gaming unit in the 4th quarter alone representing a 39% jump from last year's results which Microsoft well attributes to the release of several third party titles which has seen more users rush to its platform. As of writing, Microsoft's stock currently trades at just over $106 giving the company a market capitalization of around $820 Billion.